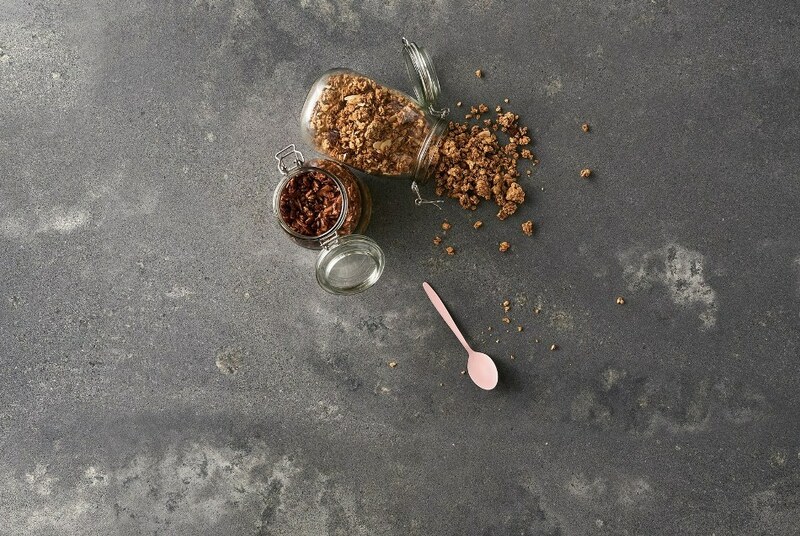 Caesarstone, luxury quartz surface manufacturer, has introduced a never-before-seen finish, Rugged Concrete, to the concrete series as part of the ever-growing Classico collection. Rugged Concrete (4033) offers a medium grey base camouflaged by billows of white with a masculine energy that exudes confidence, competence and fortitude. Appealing to men and women, this Caesarstone color is well-suited for a chic, urban loft for a modern, unfinished edge. Or, it can mix with softer décor motifs to add a warm rustic charm. This new finish offers a sleek, modern industrial look that will complement any design. Based on market feedback and demand, Rugged Concrete presents unparalleled quality, durability, along with the easy maintenance of a Caesarstone quartz surface. Slabs are non-porous, heat, stain and scratch resistant.